Are you the type that eats all whole lot food just in the name of hungry, then it’s time to stop and follow the best ulcer tips to stay healthy. 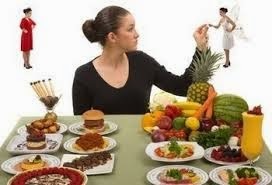 Avoiding some food could actually go a long way helping you fix up your health in just few weeks to few months. Some foods you take affect your system and this makes your ulcer to get even worse than it seems to be. Always getting on heavy foods is a very first good example, am going to fully illustrate here in details. Food with too many fats: don’t eat foods that have lots of fats on them, because too much oil is not good for ulcer patient. Too much carbohydrate food: avoid too much intake of carbohydrates, even if you want to take, just take a little and you will up your feet in the soonest time. Avoid eating chips always: don’t make this a hubby, walking around your work places with chips on your hand, stay far from this. Just take little and you will live fine.